Peru is a nation that values its literary heritage, and this fact becomes conspicuous when you notice the number of books in Peruvian homes. Schools encourage reading, and teenagers often recipe famous poems to their dates in order to impress them. In a way, one could say that Peru still holds certain old school traits like valuing good literature close to its heart. Let us take a look at 3 important poets that you should be aware of before you meet someone from Peru, so that you can impress them just like the aforementioned teenagers. Known all over the world for being one of the most important 20th century poets, César Vallejo was a n avant-garde poet who found inspiration in Spanish modernism. He often used surrealistic techniques in his poetry and wrote in a wild manner that often shocked his readers. 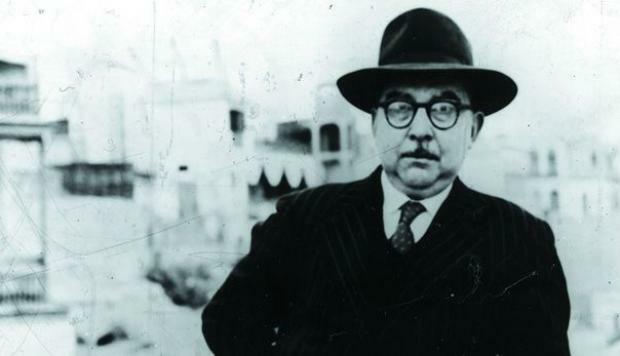 A few of his important works are La piedra cansada, which was influenced by Greek tragedy, and also Poemas Humanos, a collection of left-leaning poems. This metaphysical poet had a huge fan in Allen Ginsberg, the famous beat poet. Adan was a hermetic poet who explored themes of eternality, existentialism, and philosophical symbolism. Martin Adan’s real name was Rafael de la Fuente Benavides and lived a life that was very difficult. Alcoholism plagued him in his final years, and he passed away in a sanatorium in 1985. La Rosa de la Espinela and Diario de poeta are two of his most important works. Manuel Scorza was not only a poet but also a novelist. However, his poems provide an insight into the Peruvian way of life. He lived in exile during the regime of Manuel Odria and these experienced can be seen throughout his work. Manuel Scorza was particularly known for his social realism, a style that was replicated across Latin America. Desengaños del mago and Poesia amorosa are his important works. Which of these 3 poets have you already read? Would you like to suggest your favorite Peruvian poet to us? Tell us all about your favorite Peruvian poet in the comments section below.